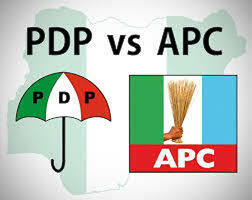 The Benue State chapter of the People’s Democratic Party (PDP), says it has nothing to worry about the case filed by the governorship candidate of the All Progressives Congress (APC), Emmanuel Jime, against the party and Governor Samuel Ortom. In turn, the PDP said it had decided to challenge the result of votes obtained by the APC candidate at the 2019 governorship election in the state. Iortyom disclosed that the party’s team of lawyers would be challenging those votes at the Governorship Election Petition Tribunal sitting in Makurdi, following a decision of the leadership of the party after it received field reports indicating numerous irregularities perpetrated by APC during the polls. “From the reports, PDP leaders met and have concluded that given the party’s acceptance across the state, its candidate, Gov. Samuel Ortom, would certainly have posted a wider margin of votes against his closest rival, if it were not for the irregularities. “The party also notes that the results of the presidential, governorship, national, and state Assembly elections indicated clearly that PDP was the preferred choice of the people of the state.